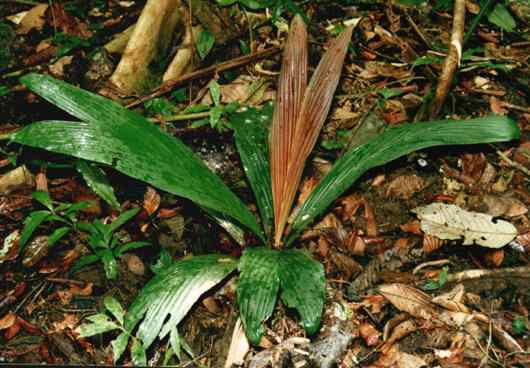 Description: -A very small calyptrocalyx only growing to 1 metre tall and solitary new leaves are a dark maroon with a slight marbling through stem, this species also comes from around 1000 metres altitude and is quite cold tolerant. Growing Climate: -Grows well in subtropics and will flower around 30 cm tall. Best position protected from full sun and dry cold winds like rich soil with regular watering. Great as an indoor plant.